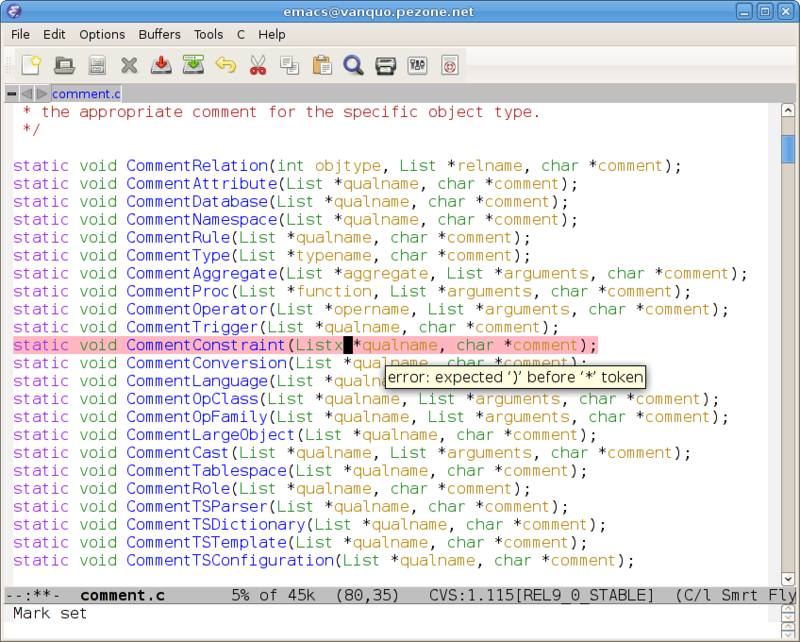 "C mode adjusted for PostgreSQL project"
Notice the marked line with the syntax error and the tooltip/popup with the error message, which appears when the mouse hovers over the marked line. Many people run Debian testing or unstable or some mix thereof. This works pretty well for a development system or a general desktop system if you know a bit about what you're doing (note: nonetheless officially not recommended). Sometimes you throw packages from experimental into the mix, if you want to get the latest stuff that isn't yet fully integrated into the rest of Debian. The default APT priority of the Debian experimental release is 1, which ensures that it is never automatically installed or upgraded. This is not always ideal, in my experience. Of course, you don't want a package from experimental to take precedence over a package from stable, testing, or unstable by default. But I think when you have in the past installed a package from experimental, you probably want to pull in upgrades to that package from experimental as well. Otherwise, you will end up with completely unmaintained packages on your system. That is because in practice many packages in experimental are not actually experimental or broken or unmaintained, but just an advance branch of some software that is just for some reason not ready to go down the unstable-testing-stable road. Now the following will happen: If you just apt-get install a package, it will come from whatever "normal" release you have in your sources.list, say stable or testing. 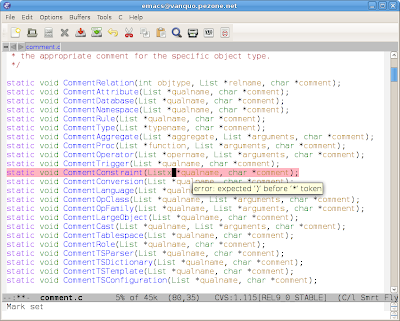 You can override that using -t experimental as usual. If you install a package from experimental and later an upgrade is available in experimental, apt-get upgrade will install that automatically. Also, if an upgrade in a "normal" release appears that has a higher version number, that version will be installed. On the system I have in mind here, the standard distribution is stable, testing is 101, and backports is 102, taking precedence over testing. Because for some architecture-independent packages you don't need backports, so you can pull them directly from testing that way. In general, the APT priority business is relatively powerful and often a good alternative to, say, manually downloading packages from various distributions, installing them manually, forgetting where they came from, and never upgrading them.